Advocate Ashwini Kumar Upadhyay filed a Public Interest Litigation in the Honorable Supreme Court Of India under Article 32 of the Constitution Of India on 28th May 2018. The purpose of filing the PIL is to restrict the misuse of religion for electoral gain, debar such candidates from contesting election and de-register such political parties in line with the recommendations of the Election Commission. The petitioner desires the Union Government to take steps in this regard. Elections are the manifestations of popular consent in a democratic society. These democratic institutions have been subjected to considerable stresses and strains and vested interests have been trying to promote their selfish ends to the great detriment of public good. The Representation of the People (Amendment) Bill, 1990 was introduced in Rajya Sabha, particularly, to restrict the misuse of religion in the election. However, the Government withdrew it in December 1993 stating to come up with a comprehensive and better revised Bill. But, the successive Government did nothing in this regard till date. The Ministry of Home affairs referred the relevant part of the “Liberhan Commission Report” to the Election Commission of India for action against the parties, which misuse religious sentiments. Representations of People’s Act, 1951 declare appeals made on the grounds of religion, race caste etc. and promotions of feelings of enmity between different classes as a “Corrupt Practice“. Ironically, these provisions have application only during the period of election and there is no provision to challenge the corrupt practice of the candidate who lost the election. Over the years, a number of Committees and Commissions have examined the major challenges affecting our electoral system. Unfortunately the recommendations of these elaborately researched and clearly articulated reports were not followed by requisite administrative/ legislative action. The Law Commission’s 255th Report in 2015 observed the Government’s track record of inaction on the reports of various committees and Commissions: “Unfortunately, their recommendations were not followed by legislative action, required for the enhancement of the quality of democracy, be reducing the influence of money and media in politics and ensuring free and fair elections”. In “PUCL v. Union of India” AIR 2014 SC (Sup) 118 the Supreme Court of India observed: “For democracy to survive, it is essential that the best available men should be chosen as people’s representatives for proper governance of the country. This can be best achieved through men of high moral and ethical values, who win the elections on a positive vote”. A) Direct and declare that the Election Commission of India shall have the power to refer the complaints related to corrupt practices and misuse of religion for electoral gain by contesting candidates and political parties to the investigation agencies in line with the recommendation of the Goswami Committee on Electoral Reform. 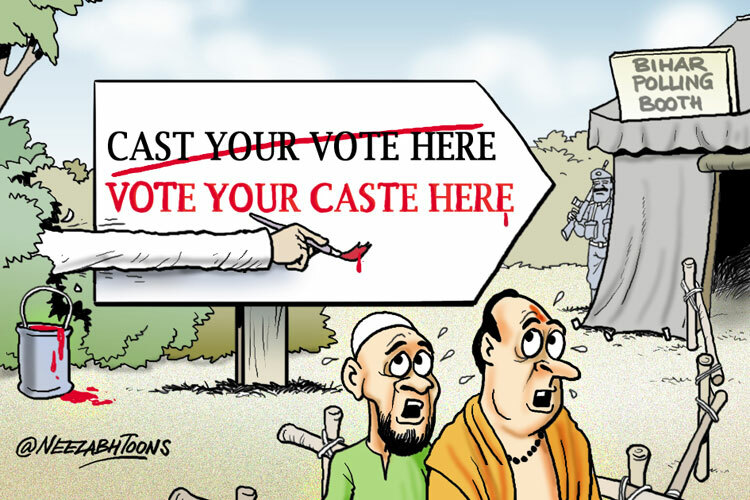 B) Direct the Central Government to take appropriate steps to restrict the misuse of religion by contesting candidates and political parties for electoral gain, as suggested by the Election Commission of India in its Proposed Electoral Reform. C) Direct the Election Commission of India to take appropriate steps to debar the candidates from contesting election and de-register the political parties for misusing the religion for electoral gain. Previous ArticleThe Conversation Junction by Lex Quest, Apply Now!